Home-grown consumers electronics firm Intex Technologies has expanded its smart TV portfolio by launching a 43-inch ultra high-definition (UHD) TV in the country. 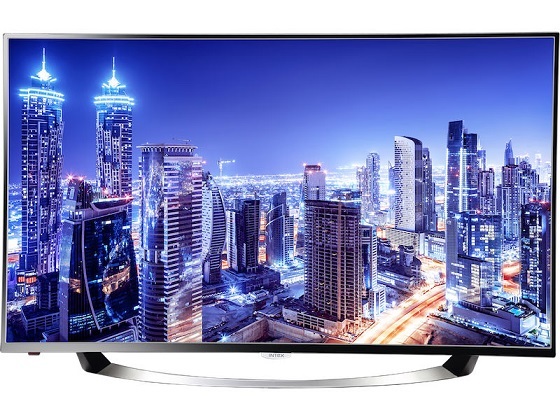 The smart TV is named LED B4301 UHD SMT and priced at Rs. 52,990. It features super slim design and 3840×2160 pixels resolution UHD Panel which is capable of delivering fast-frame rates, contrast, and color dynamics. The TV is powered by a 1.1GHz quad-core processor coupled with 2.5GB RAM and 8GB ROM. It is based on Android 5.1 Lollipop. Other features of the new Intex 4K Smart LED TV model include HDMI, USB ports, and inbuilt Bluetooth, and Miracast, which enable users to connect wirelessly their smartphones, laptops, and tablets for displaying content using Wi-Fi. It also supports wireless audio connectivity with home theatres and speakers and comes with a special remote – Air Mouse Control.